Sep. 28, 2018 2:30 p.m. The mayor and members of Dawson City Council will all be acclaimed in this year’s municipal election. It’s not the only community to find itself in such a position. All candidates running in Mayo will also be acclaimed unless, as outlined by the Municipal Act, someone files a petition with the Supreme Court of Yukon in the next two days. Candidates also have 96 hours from the time nomination closed at noon on Sept. 27 to withdraw their names. Mayo and Dawson aren’t the only communities to have seen something out of the ordinary. In Teslin, current mayor Clara Jules (who did not respond to requests for comment) is running for council instead of seeking re-election as mayor. In Whitehorse, there were two last-minute additions to the race for mayor. Colin Laforme and Kelly Suits, both city employees, declared their intention to run on Sept. 27. 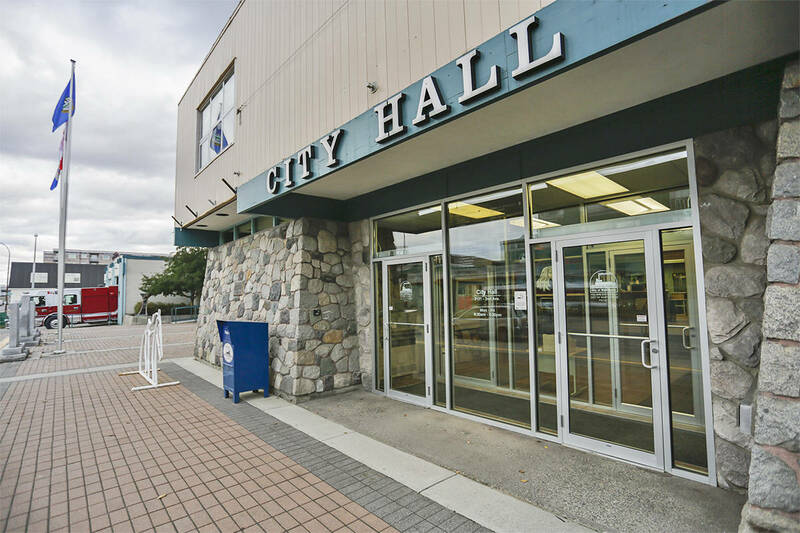 Norma Felker, City of Whitehorse assistant city clerk and returning officer, said five names is the most the city has had on the mayor ballot since 2003 and 2012, when there were also five names each. Felker also said the total number of candidates running for council (20) makes this year one of the bigger slates. In the late ‘90s, there was an election with more than 30 names on the councillor ballot. The most since 2000 was 23 names, followed by 22 names in 2012 and 2015. In Carmacks, there are three people running for mayor, including incumbent Lee Bodie, Bob Mayer and Kevin Unterschute. There are seven councillor candidates running for four seats. These include incumbents Helena Belanger and Tara Wheeler, as well as George Skookum, Joseph O’Brien, Morgan Alexander, Russell Twin and Lorraine Graham. In Dawson City, Wayne Potoroka will be acclaimed to mayor. Councillors will be Stephen Johnson, Molly Shore, Natasha Ayoub and Bill Kendrick. In Faro, there are two running for mayor including incumbent Jack Bowers and Leonard Faber. There are five people running for four council seats, including incumbents Pat McCracken and Lisa Snyder, as well as Tina Freake, Sarah Piercey and Cheryl Stubbs. In Haines Junction, current councillor Thomas Eckervogt will be acclaimed to mayor. Six people are running for four council seats, including incumbent Susan Smith, and John Farynowski, Kari Johnston, Mark Nassiopoulos, Elodie Dulac, and Courtney Quinn. In Mayo, the acclaimed mayor will be current mayor Scott Bolton. The four acclaimed councillors include current councillors Joann Aird, Trevor Ellis and Blair Andre. New councillor Carol Knight will also be acclaimed. In Teslin, the run for mayor includes Jean-Michel Harvey and Gord Curran. Six people are running for the four council seats. These include incumbents Denise Johnston, Lance Saligo and Trevor Sallis, as well as Margaret Douville, Clara Jules and Juanita Kremer. In Watson Lake, the run for mayor includes incumbent Justin Brown and Cheryl O’Brien. There are eleven candidates running for four council seats, including incumbents Christopher Irvin, Stacy Bauer and Brenda Leach, as well as Lauren Hanchar, Michael Lexow, Rick Harder, Colleen Craft, Thomas Slager, Andy Shannon, Anais Durante and Erin Labonte. The Whitehorse mayor’s race includes incumbent Dan Curtis, Kelly Suits, Wilf Carter, Colin Laforme and Rick Karp. There are 20 candidates running for six council seats. These include incumbents Dan Boyd, Roslyn Woodcock, Betty Irwin, Samson Hartland and Jocelyn Curteanu as well as Eileen Melnychuk, Steve Roddick, Darrell Hookey, Scott Etches, David Laxton, Mike Gladish, Leonard Boniface, Cory Adams, Jan Stick, Jim Cahill, Laura Cabott, Danny Macdonald, Andrew Smith, Kim Lisgo and Oshea Jephson.